[07/26/2017 @ 1:57 PM] Book this fare on: Priceline, BookingBuddy, Travelocity, Expedia, Orbitz, Hotwire, CheapTickets. [07/27/2017 @ 5:15 PM] Southwest is matching this with regular economy fares, which include two free bags. [08/12/2017 @ 4:00 PM] Still available, less availability, higher regular economy price. [10/14/2017 @ 3:04 PM] Old post clean-up. Fare gone. Removing from deal list. United has round-trip “Basic Economy” flights from Houston (IAH) to Los Angeles (LAX), Las Vegas (LAS), Chicago (ORD), and San Diego (SAN) for $98, NONSTOP. $50 each-way. Regular Economy fares are +$40 more each-way. Flights scattered September to November 2017 and also January to February 2018. Holiday blackouts apply. Origin/Destination reversible. Southwest is matching with Regular Economy fares that include 2 free checked bags. Use the Fare Calendar on Southwest. 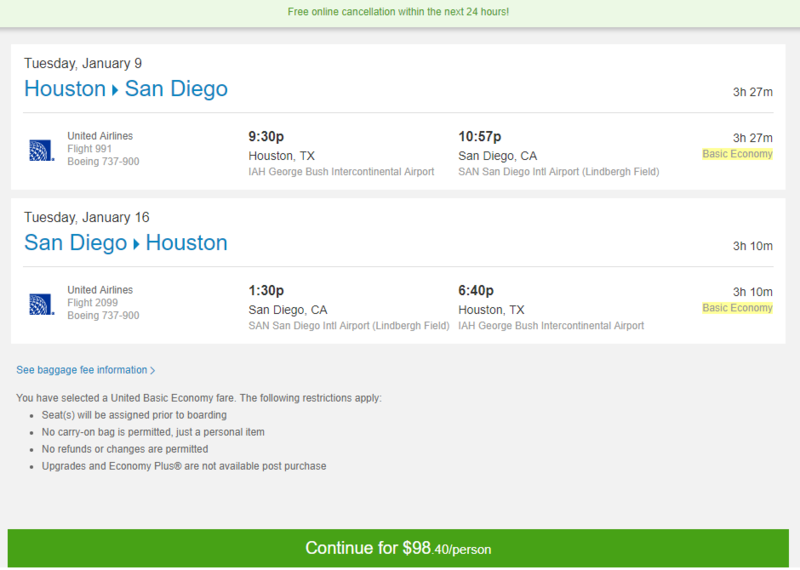 See this post for other southwest deals: [Nonstop: Houston to/from Pittsburgh / Vegas / Baltimore / New Orleans / Tampa / Orlando $100 r/t – Southwest]. Note: “Basic Economy” fares on United don’t include a free checked/carry-on bag. Your seat will be assigned after check-in and you will board in the last group. If you have a United MileagePlus Credit Card, you get one free bag and priority boarding even in “Basic Economy”. Los Angeles – Example Dates: (BookingBuddy / Priceline) Sep 09 – Sep 12 / Sep 10 – Sep 15 / Sep 12 – Sep 19 / Sep 23 – Sep 26 / Sep 25 – Sep 30 / Sep 30 – Oct 07 / Oct 03 – Oct 07 / Oct 07 – Oct 14 / Oct 25 – Oct 28 / Jan 19 – Jan 23 / Jan 23 – Jan 30 / Jan 30, 31 – Feb 06, 07 / Feb 02 – Feb 06 / Feb 08, 10 – Feb 13 / Other dates: There are more dates available than the ones we list here, experiment on your own. 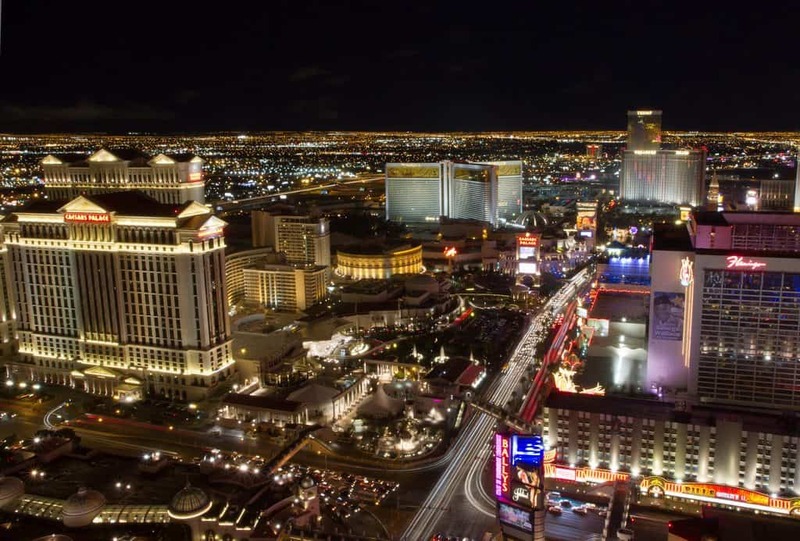 Vegas – Example Dates: (BookingBuddy / Priceline) Sep 11 – Sep 15 / Sep 19 – Sep 22 / Sep 26 – Oct 05 / Sep 30 – Oct 04 / Oct 03, 09 – Oct 11 / Oct 24 – Oct 26 / Jan 10 – Jan 17 / Jan 17 – Jan 24 / Jan 24 – Jan 30 / Jan 31 – Feb 08 / Feb 04 – Feb 08 / Other dates: There are more dates available than the ones we list here, experiment on your own. Chicago – Example Dates: (BookingBuddy / Priceline) Sep 07 – Sep 12 / Sep 16 – Sep 19 / Sep 23 – Sep 27 / Oct 07 – Oct 11 / Oct 14 – Oct 17 / Oct 17 – Oct 24 / Jan 10 – Jan 14 / Jan 19 – Jan 21 / Jan 26 – Jan 28 / Feb 02 – Feb 04 / Feb 09 – Feb 11, 13 / Other dates: There are more dates available than the ones we list here, experiment on your own. San Diego – Example Dates: (BookingBuddy / Priceline) Sep 09 – Sep 12 / Sep 16 – Sep 19 / Sep 23 – Sep 26 / Sep 27, 30 – Oct 03 / Oct 24 – Oct 28 / Nov 04 – Nov 07 / Nov 11 – Nov 14 / Jan 09 – Jan 13, 16 / Jan 16, 17 – Jan 20, 23 / Jan 23 – Jan 27, 30 / Jan 30, 31 – Feb 06, 07 / Other dates: There are more dates available than the ones we list here, experiment on your own. I was able to pull this up on Priceline. Screenshot taken at 04:23 PM on 08/12/17.